These days, Chikara Ono doesn’t get behind the stove as often as he used to, but among his devotees, the chef is legendary — particularly for his skills with raw fish. 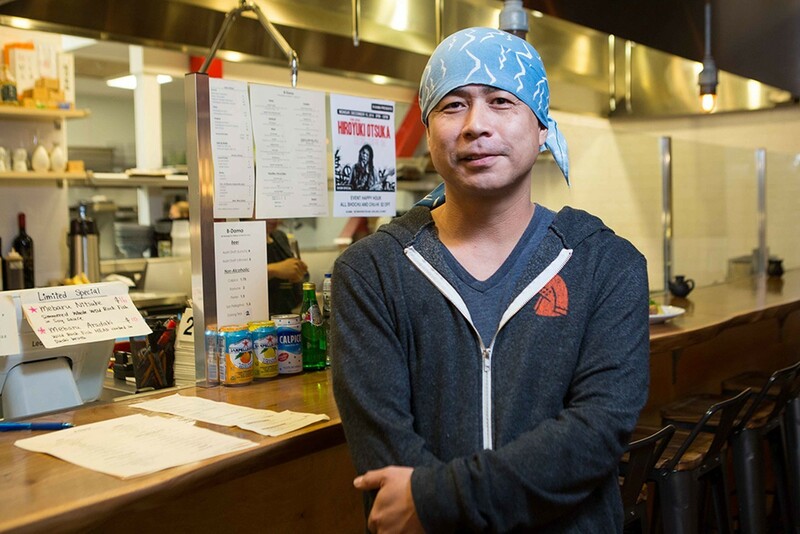 At AS B-Dama (907 Washington St., Oakland), the popular izakaya-style Japanese restaurant located in the Swan’s Market food court, Ono plays more of a supervisory role — expediting orders and bringing dishes out to customers. Longtime customers who have been wanting to taste more of Ono’s food might soon get there wish: The chef is opening a new sushi spot in Swan’s Market, just steps away from AS B-Dama. The yet unnamed restaurant will be located in a former bubble tea shop at 536 9th Street — next door to the Mexican eatery Cosecha, in a stand-alone space that’s separate from the larger “food court” area. In terms of what style of sushi he plans to serve, Ono said he hasn’t made up his mind. Right now, he's having discussions with Asuka Nadeshiko and Shin Okamoto — the two young, talented chefs who do most of the cooking at AS B-Dama — about who will take the lead at the sushi spot. If it ends up being Nadeshiko, for instance, Ono said there might be more of a French influence to the cuisine. Ono said all he knows is that he wants to offer some unique, harder-to-find varieties of sushi — maybe a wider selection of vegetable-centric sushi or some unusual hand rolls. What Ono is clear about, though, is what kind of sushi place the restaurant won’t be. It won’t serve American-style rolls — “no Lion King,” Ono said. And unlike AS B-Dama’s sister restaurant Geta Sushi, on Piedmont Avenue, it won’t primarily be a takeout spot. Most importantly, Ono said he doesn’t want his restaurant to be the kind of expensive, “high-class” omakase-style sushi restaurant that you’ll find so often in San Francisco, for instance. Instead, he wants to use more local seafood and to keep his prices moderate. The former bubble tea shop is small — maybe 700 or 800 square feet, with room for about 25 seats, Ono said. Most of that seating will be at the sushi counter, but there will also be a couple of tables inside and more on an outdoor patio. Construction is already underway, and an application for a beer and wine license is pending. If all goes well, the new restaurant will open for business in February or March.